The quality of the anodized aluminium used for the frame makes the product stable, light and totally rust-proof. The coil winding drum has a wide circumference that prevents hose from twisting and kinking giving you perfect storage of your garden water hose pipe. 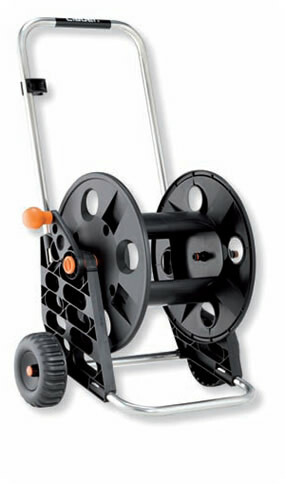 This garden water hose cart is easy to assemble without the use of any tools. The capacity for this cart is 70m of ½ Inch pipe.